Moms across the province say they're frustrated about long wait times to get screening and treatment for their children. When Sarah Farrants' eldest son, Mason, turned two last December, something troubling happened: he stopped speaking. Already a late talker, it was then that he lost the 20-odd words he'd learned so far in his young life. Things got worse from there. At two-and-a-half in the spring, Mason still wasn't talking, had stopped making eye contact, and generally seemed bored and listless, Farrants said. "It's kind of like he woke up one day and was a new child," she said. The steep decline prompted Mason's pediatrician to recommend autism screening, and in May put him on a provincial wait list for testing. But Farrants says she was shocked when she placed a follow-up call to her assigned 'diagnostic hub' and learned that her son was still potentially looking at a 18-24 month wait time for screening. "That was a pretty big shock for us," she said. "We knew the list was long, but a year and a half to two years? He'll be waiting on the list as long as he's been alive, essentially." As she waits for his number to come up, Farrants said she's been taking Mason to speech and occupational therapy, but says his therapists are limited in what they can do until they have an official diagnosis. "As we're on this list he's getting worse and worse, and we have no idea how to help him," she said, adding that she priced out a private assessment at about $2500, only about $100 of which is covered by her family's benefit plan. Sudbury mom Julia Ritchie wound up paying out of pocket for her daughter June's autism screening, because she felt she couldn't wait any longer to start treatment. Further north, Farrants' story feels familiar to Sudbury mom Julia Ritchie, whose toddler daughter began having severe meltdowns last year. Faced with a similar 18-month estimated wait time through her local hub, Ritchie says she bit the bullet and paid $1500 for a private test that revealed a diagnosis of 'level three' autism. Ritchie says she was frustrated both by the long wait time, and by the lack of support for parents during the waiting period. 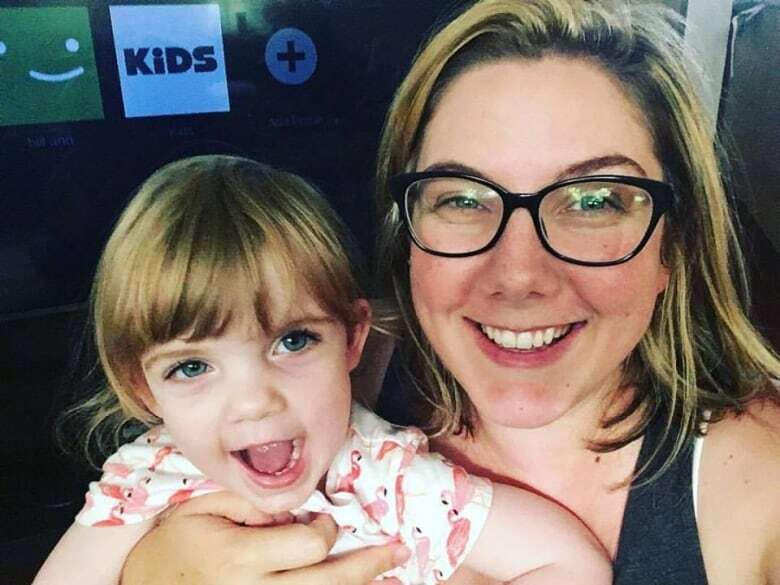 "You get in the place where you know early intervention matters, and you're not able to do anything for your child, and you don't have any support or resources," said Ritchie, who added that her daughter is now on another provincial wait list for treatment. CBC reached out to the Ministry of Children, Community and Social Services—which runs the Ontario Autism Program—on Monday afternoon. The ministry promised a response but CBC has yet to receive it. The two moms' stories are unfortunate but unsurprising to Katharine Buchan, the education materials coordinator for Autism Ontario. "From a family perspective that can be really challenging, because the challenge is 'What do we do when we're waiting?'" Buchan said. Buchan said evidence shows that early intervention is key for children with autism, and it's frustrating for parents to hear that and then be faced with a wait list that's out of their control. In desperation, some parents do wind up paying out of pocket for services, which can present its own strain on a family, she said. "They wind up bankrupt or getting divorced," she said. "There's a lot of things that families and caregivers go through to get the supports they need while waiting for services." She added: "The key thing is shortening the wait times." In addition to shortening those wait times, Buchan said she wants a base level of autism training for day camp workers, teachers and others who work with children, so that kids with autism—whether they've been diagnosed or not—can more easily take part in the community. Buchan said the province is also facing a shortage of 'applied behaviour analysis' therapists to treat children on the autism spectrum, which can mean more waiting for services once parents do have a diagnosis. "Parents still wait for that because there just aren't enough professionals to give that kind of treatment," said Buchan. "We're in a place right now where we need to build capacity across a whole wide variety of places." Meanwhile, Sarah Farrants has just one wish: to stop having to fight for answers. "We haven't even gotten a diagnosis yet and I'm exhausted," she said. "I just want families with children like Mason to get the answers they need. The support is out there—we just can't get it."